Erosion, rising seas, ferocious storms and other coastal perils have prompted the resettlement of more than 1 million people worldwide, with an exhaustive new analysis highlighting an emerging migration crisis that’s worsening as global warming overwhelms shorelines. Researchers scoured journal papers, government reports and news articles for examples of what experts call “managed retreat,” analyzing 27 rules, programs and decisions that have led to the abandonment of homes and homelands from Louisiana, New York and Alaska to Thailand, Brazil and Australia. An estimated 200,000 homes are being built in the Phillipines to house residents who lived within 130 feet of battered coasts when Typhoon Haiyan hit in 2013. Coastal communities facing worsening flooding are responding in different regions by raising roads, rebuilding sand dunes, restoring marshes, upgrading building codes and elevating houses. Compared to those options for adapting to a harsher climate, each of which can be expensive, the prospect of abandoning developed land can be particularly painful, vexing and divisive. The researchers tallied an estimated 1.3 million people who have been relocated worldwide from coasts through managed retreat programs. That’s roughly equivalent to the population of San Diego. The figure is expected to continue to rise steeply as climate change causes seas to rise and worsens other hardships, such as by intensifying storms. “Considering ways to manage these movements now is critical to ensuring that our collective reaction to climate change is humane,” Hsiang said. Seas rose 5 inches in the 20th century and are projected to rise by several feet this century. A Climate Central analysis in late 2015 concluded that high future warming rates would eventually submerge land currently home to more than 470 million people. 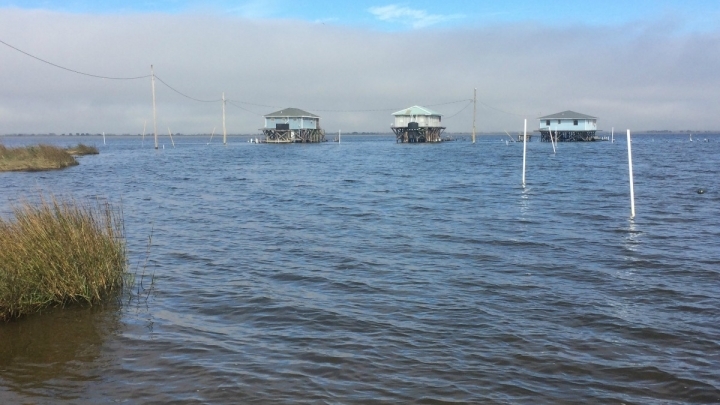 Coastal land losses in Louisiana mean these houses, which once were accessible by road, can now only be reached by boat. Most coastal relocations occur after disasters. Homes on Staten Island and in New Jersey that were damaged by Superstorm Sandy were bought up and razed using FEMA ‘hazard mitigation’ grants, which can be available after presidential disaster declarations. The Philippines banned rebuilding within 130 feet of coasts after Typhoon Haiyan in 2013, forcing an estimated 80,000 to relocate. Hundreds of thousands were resettled in South Asia and Southeast Asia after the 2004 tsunami, with 22,000 homes built in the Indian state of Tamil Nadu for families that had lived within 650 feet of coasts. 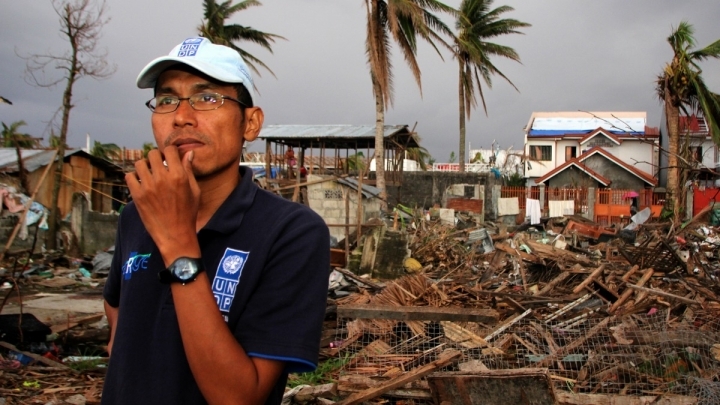 Not all resettlement programs follow individual disasters. Some communities are clamoring to move as erosion eats away their lands and homes, for example. Instances of preemptive relocations are rarer, and they generally take longer than post-disaster resettlements. Tribes that were pushed by U.S. officials to settle near Alaskan coasts beginning in the late 19th century have been trying to relocate away from them, in some cases trying to do so for decades, as global warming helps the sea consume the land around them. The U.S. is helping to resettle Native Americans from an island in Louisiana, where some of the fastest land losses in the nation are being fueled by flood control projects, gas and oil infrastructure and dredging for ships. Edward Richards, a Louisiana State University law professor who wasn’t involved with the new analysis, said it would be valuable for other researchers because it provides a new list of instances of managed retreat. “It’s been very difficult for any of us who are interested in this to get a comprehensive list,” he said. The analysis showed that U.S. programs that subsidize flood insurance and promote coastal rebuilding after disasters are unusual when compared with some other regions, keeping people and property in harm’s way, even as flooding gets worse.